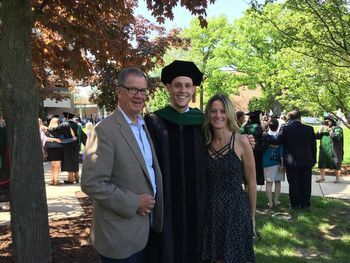 Recent medical school graduate Matt DeGrott is pictured above with Foundation Board member Jim Bedford and Matt's Aunt, Marianne Roberts. Matt was a four-time scholarship recipient and recently graduation from medical school from Midwestern University. To quote Matt - "I would not have become a Doctor if it wasn't for Conway Farms. Congratulations! The Conway Farms Golf Club Foundation is organized exclusively for charitable purposes within the meaning of section 501 (C) (3) of the Internal Revenue Code. Scholarships have been awarded for the 2018-2019 academic season.